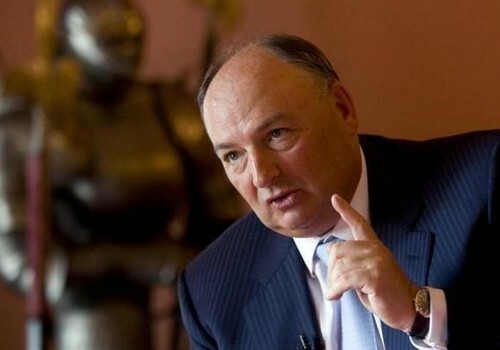 Russian businessman Moshe Kantor was re-elected on Tuesday by the European Jewish Congress (EJC) General Assembly in Brussels for his third executive term as president of the leading European Jewish umbrella organization. Jonathan Arkush, president of the Board of Deputies of British Jews, was elected as chairman of the EJC Council. World Jewish Congress President Ronald S. Lauder congratulated Kantor on his re-election and said he looked forward to “continuing the WJC’s cooperation with the EJC leadership on all levels.” The EJC is the regional affiliate of the WJC. After his confirmation, Kantor declared: “I am delighted to have received a strong vote of confidence from the leadership of the European Jewish communities and it is a positive testament for the work we have done these last few years and the plan of action we have for the years ahead. “The high level of anti-Semitism, the crisis brought about by large numbers of migrants and asylum-seekers entering Europe, the wave of terror and the economic situation are all interconnected and present great challenges for European Jewry.” The 62-year-old Kantor was first elected as president of the European Jewish Congress in 2007. During the EJC General Assembly, attended by leaders from 42 European Jewish communities, some of the challenges were discussed and several recommendations were made. The EJC Assembly also approved a resolution to create a task force to deal with the threat of the BDS movement, whose aim is to boycott Israel.